Home » General News » OGRI MCC – Summer Rally tickets are now on sale and a free flyer for you to download ! 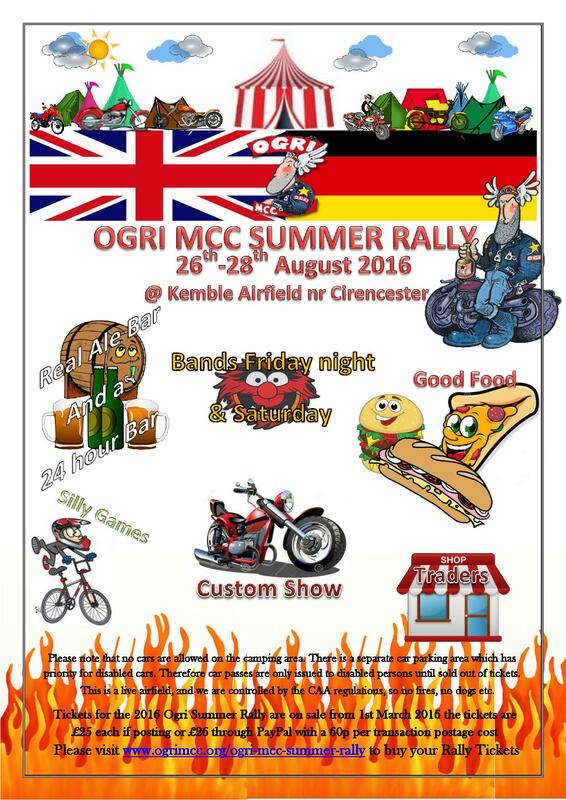 OGRI MCC – Summer Rally tickets are now on sale and a free flyer for you to download ! Click on the image for a full size flyer that you can print off and share with your mates to let them know what a great Rally it is !